Introduction of Shandong Taishan Sports Equipment Co., Ltd.
Taishan is a premiere global supplier for sports events through 40 years’ hard work. Taishan’s products consist of six categories: sports equipment, artificial turf, carbon fiber bicycles, Multi-functional sports mats, winter sports equipment and “internet+” intelligent fitness, with over 6,000 products. Taishan has eight domestic subsidiaries located in Beijing, shanghai, Shenzhen, Jinan and Qingdao city, as well as international subsidiaries and offices in the USA and Japan. The network of marketing services covers more than 200 countries and regions. Till now, Taishan has outstandingly served more than one thousand major international and domestic sports events including Olympic Games, Youth Olympic Games, World University Games, Asian Games, World Judo Championships, World Taekwondo Championships，South-East Asian Games，National Games，etc, with all realizing the achievement of "Zero Error, Zero Breakdown, Zero Complaint" . Taishan has many joint scientific research institutes at home and abroad with nearly 1,000 R&D employees. 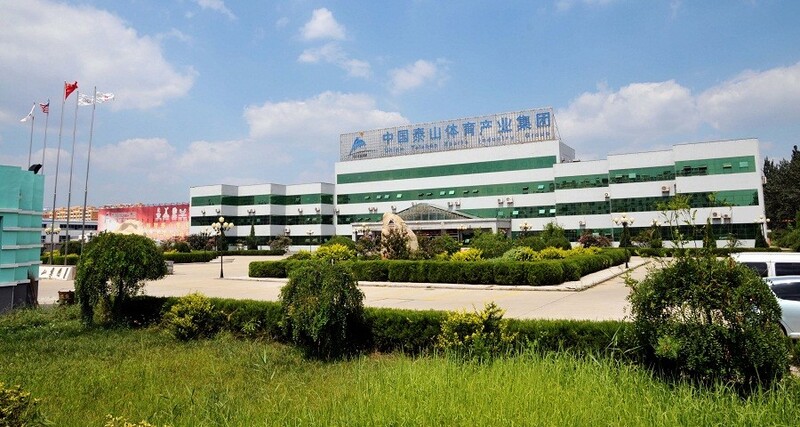 Taishan owns China’s only “National Engineering Research Center for Sports Goods”, and it also has other national R&D platforms including “State-certified Enterprise Technology Center”, “Postdoctoral Programme”, “National-approved Laboratory”. In the future, Taishan will continue to work hard to achieve full internationalization, better serve the health of human beings and let the world enjoy the pleasure of sports.